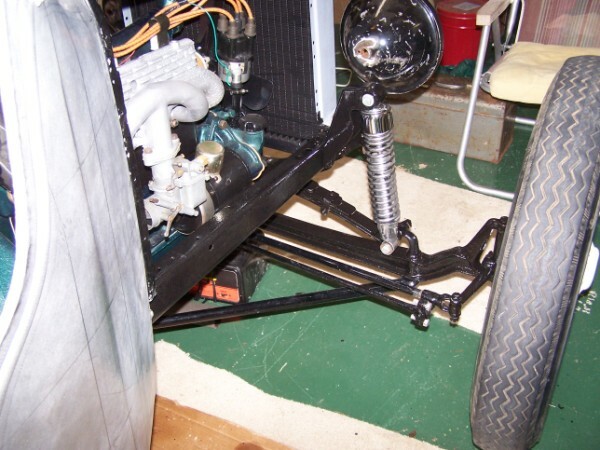 "26 speedster, built T engine, aluminum pistons, balanced, header, Z head, Stipe cam. This car cannot use a stock carb, simply for image, and attitude. Have this manifold available, assume it is originally intended for an updraft carb, but could be flipped for a down draft. 2-3/8" OC for the carb bolts. Any thoughts on what will fit it? Or where we can get it? Make sure pic is sized to 196kb or smaller. Otherwise it won't work. Also, when you hit "preview" if it doesn't show you the picture then, it won't work. Keep messing with it until you can see it how you want to in preview, then hit post. Also, be aware that if you upload multiple pictures, the preview may only show the first two or three, but rest assured they will all show up when you post the message. We used a model A intake and exhaust with adapters to make it fit the engine. With the increased breathing and later carb. it runs just fine. My speedster also has oversize alum. pistons, distributor, all balanced etc. The picture attached is not the best but may give you an idea what it looks like. This is the model A exhaust with the heater manifold. I've got "B" intakes, closed off and opened on top for downdraft. One has a Stromberg 94, other had a Carter W-1 until recently when I got a Holley that will fit from Ebay. A carb mounted high that needs lots of gas needs an electric fuel pump. Also a foot accelerator is nice. Doug, it depends on what you have for a manifold or set of manifolds. If you are running a stock T exhaust you will need an intake manifold that will fit in between the ports as an original Ford manifold did. 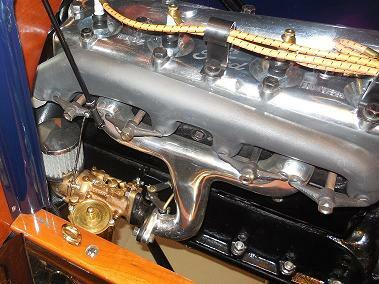 There are quite a few accessory carbs that had special manifolds so they are not too hard to find. Then there are two or three choices of carb. First is to run one of the performance setups that was made for T's in the day. IMHO the two best performance carbs are the Zenith S4BF, which needs its own special manifold. They run great, far better than ANY stock T carb. The other one is the U & J. They REALLY run, they look really cool and they are absolutely trouble free after the problem bowl is replaced. They had a thin brittle brass bowl that nearly always is cracked. There are a lot of performance Winfields, I don't like them because they are pot metal and cant' be easily rebuilt. There are a bunch of other performance carbs that will mount on accessory manifolds. Most popular for speedsters and hot engines are Stromberg OE-1 and OE-2. A 2 is probably a little big for a stock T engine, might be hard to start and bad idle with that big a throat. You can also run a stock T manifold and run a better/larger sidedraft. That is a great setup. Best of the carbs designed to mount on the Ford manifold in the day is the Rayfield F. Hard to find but they run like a wild man, look great and are good starting and idling as well as fine performance. Most popular larger carbs are Stromberg OS-1; Stromberg MB-1 & Zenith HP4S. They all take a custom adapter but will fit down in the frame like a stock carb. I probably have 15 or 20 OS-1 Strombergs running on stock T manifolds with an adapter. The nice thing about the side draft carbs is that they don't drip any gas like many of the updrafts do. You might want to look at my web site, www.strombergof.com for some ideas. Here is a picture of one of my OS-1's running on a 14 T. You can see that you have to have an adapter to set it in about 3/4 of an inch.